After University of Michigan quarterback Shane Morris was waylaid during a play this year, he appeared to suffer a concussion as he stumbled around the field leaning on teammates for support. He proceeded with the next play, then was taken out of the game but put back in later in the quarter. Spectators continued to witness his disorientation, and the announcers commented on why he was still in the game. Later Coach Brady Hoke and the University’s athletic director, Dave Brandon, came under fire when fans and students demanded resignations for mishandling the sideline situation. A serious miscommunication took place in which the coach and no one on the sideline trained to spot concussions even noticed Morris’ condition for so much as an evaluation. Morris apparently waved help off saying he was OK, but allowing a player–or a coach — to determine a player’s return to the game after a suspected concussive hit is never protocol. Morris was diagnosed with a probable mild concussion. The university apologized, saying it got the situation very wrong. It’s estimated that 4,000 such concussions are suffered at the college football level. Despite what went wrong at Michigan, there are some clear concussion guidelines at every level. Generally, the laws around concussion management are a patchwork that varies from state to state. All 50 states have adopted some sort of concussion legislation that applies to school systems, but what it requires varies. “For college sports the NCAA is leader but it has not adopted any legislation, although it has adopted concussion safety guidelines,” says Faiella. 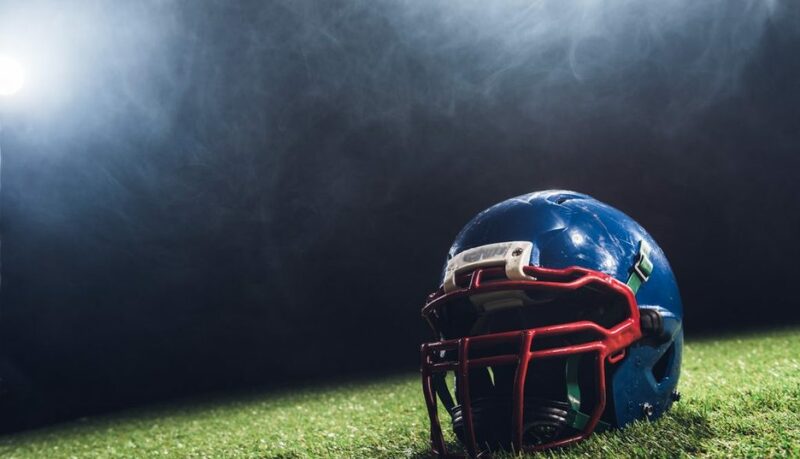 Recently the City of Boston adopted an ordinance that imposes similar requirements in all Division 1 high school events involving football and hockey. The problems with a lack of concussion management are numerous, from the absence of athlete, coach and trainer education to lack of trained personnel. On the high school level, there may or may not be an athletic trainer who is present at sporting events, and there is usually not a physician on the sideline depending on the high school. “Less than 20 percent of high schools in the nation have a true team physician/athletic trainer relationship and while the number of certified trainers is growing at the secondary school level there is still a lot of areas in the country where they don’t have a certified athletic trainer or a physician designated as a team physician on a daily basis,” says Steve Cole, associate athletic director of the College of William & Mary in Virg., who specializes in concussion education and co-developed the SMART (Sideline Management Assessment Response Techniques) Workshop, to train physicians in concussion management. “When you have a doctor on the sideline, the doctor should make the determination,” says Barry Jordan, MD, MPH, director of the Brain Injury Program & the Memory Evaluation Treatment Service (METS) at Burke Rehabilitation Hospital in White Plains, N.Y., and the Chief Medical Officer of the New York State Athletic Commission and a team physician for U.S.A. Boxing. He is also an Associate Professor of Clinical Neurology at Weill Medical College of Cornell University. When there is no physician present, then an athletic trainer makes the evaluation for a concussion. “But it should be a team approach. A doctor, athletic trainer and coach should work together and look out for the health and safety of the athletes,” says Jordan. “Sometimes it’s so obvious you can tell on the sideline they have a concussion. They stumble around, they’re confused, disoriented, thinking it’s January and it’s March or think they are in a different city,” says Jordan. Michigan’s Morris appeared concussed to spectators. However, just because someone got hit in the head or they stumbled doesn’t necessarily mean they suffered a concussion. If the diagnosis is not obvious, more detailed testing is required. Jordan says the college level is typically more diligent since there is a team physician and an athletic trainer. Dr. Jordan is one such unaffiliated consultant who spots concussions for the New York Giants. He explains everyone is connected by radio and if a player appears to have taken a suspected concussive hit, they start communicating from the press box down to the sidelines, and the team physician, athletic trainers and consultants get to work sidelining the player for an evaluation. Players that are suspected of having a concussion should be taken out of play, not returned to the field and then go through a period of rest to give the brain time to heal. “That can be variable but most of the time most concussions will resolve in 7-10 days,” says Jordan. “The critical part at the collegiate level is that there is clear protocol that the team physician has the final authority of the medical clearance of a student athlete,” says Cole. Before an athlete who has a suspected concussion is cleared for return to play, a licensed health care professional must sign off. In most cases that is a physician, but in some states a licensed physician assistant or nurse practitioner can clear a player. Players must be asymptomatic and off all medications that treat concussions. For example, you can’t have a player that still gets headaches and is taking pain relievers for those headaches, explains Jordan. “And really in my opinion, for good concussion symptom management there needs to be frequent follow up,” says Cole. The risk of serious injury for a player who receives a second concussion while still concussed from a previous concussion could be catastrophic. A concussion that routinely may resolve in 7-10 days could take weeks or months to resolve if a player has another concussion. What’s more, second impact syndrome, which is rare but does occur, includes an exaggerated response to that second concussion which could result in significant neurological trauma including coma, paralysis, long term neurological complications and even death.